A Taxi Driver is a film that might be the film that makes top 10 of the year. I went in not knowing anything and was thinking its a comedy and I was way off. Yes are Lead does bring some Comedy/ fun acting. The film goes pretty deep and its abased on a true story. A Taxi Driver who lives paycheck to pay check with his daughter is behind on rent. He over hears another Taxi Driver talking about a fair he has to pick up and how much he is making so he steals it but he did not know what he was getting into. He picks up a Journalist who is covering a protest against the Korea government who is picking them off left and right with mass killing of not just men but woman and Children in a this one town. The movie is much more than this so go watch it. 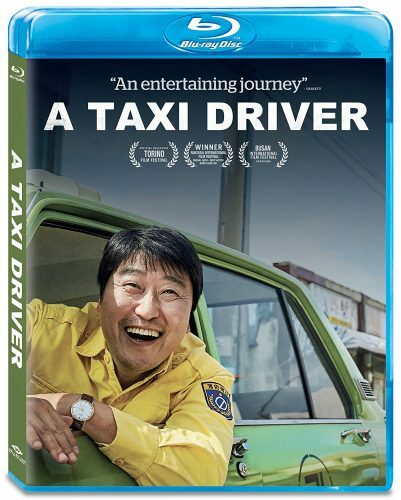 The film has a great story with a sad ending that showcases a clip of the real journalist pleading to the taxi driver that stood by his side during the horror we see in the film. The story is fun at times but gets rough with what we see how the Koran Government treated people. You will differently get teary eyes and feel what these people are feeling. I’m leaving a ton out on what the movie is about and I have to say, it s movie You need to watch. Overall its a great film and yes I might have a few things that could have made this a tad bit better but it’s not much. For me its a great film and overall gets great reviews. The ending makes you think of what happened to this taxi driver. With that said I give this film a 4.5 out of 5 stars and its pretty close to that 5 star mark. GO pick it up.